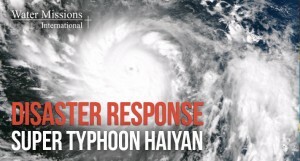 Super Typhoon Haiyan struck the Philippines on the morning of November 8, causing massive destruction, with wind gusts up to 235 mph, nearly 16 inches of rainfall and waves up to 45 feet in some areas. Thousands are dead, and millions more have been affected by the storm. There are several ways you can help respond to the needs of the people of the Philippines. First and foremost, PRAY for those affected and for all who are working to respond in the aftermath of the storm. Second, send financial gifts directly to international relief organizations. Two organizations recommended by the NALC are Lutheran World Relief (LWR) and Water Missions International (WMI).